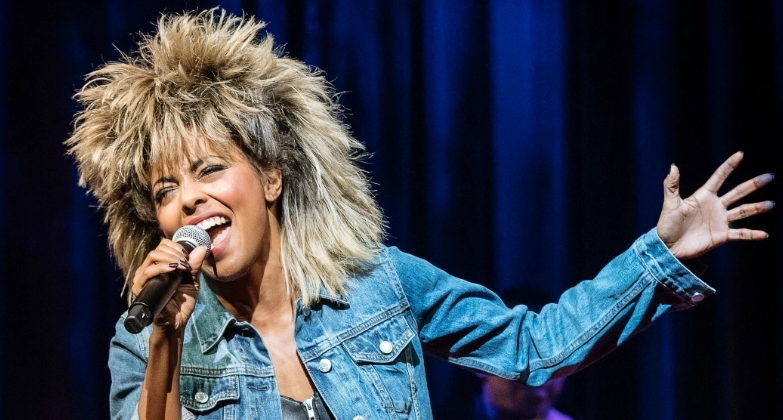 One of the popular American singer, songwriter, dancer, actress, and an author is named as Tina Turner. She is a well known American celebrity. She is famous for contribution in professional life. She is a very popular female rock artist worldwide. She is also known as "Queen of the Rock". Altogether she has received 8 Grammy Awards. She has sold over 100 million copies of her albums. She has also been named as "One of the greatest singers of all time" by Rolling Magazine. she is a very talented singer. 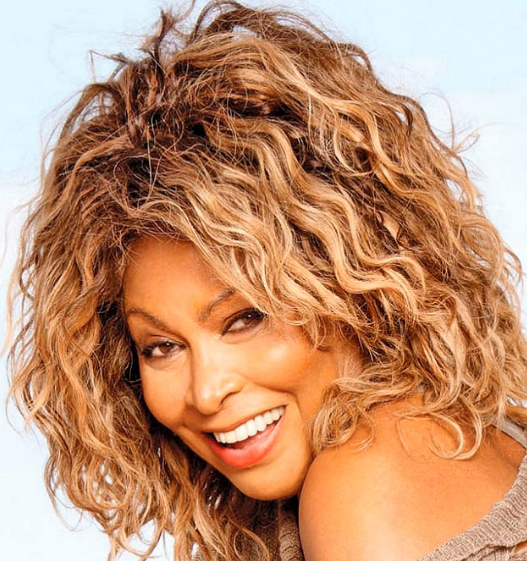 Passionate and enthusiastic Singer, Tina Turner was born on 26th November 1939. Her full name was Anna Mae Bullock. She was born and raised in Nutbush, a city of U.S. She was born to Richard Bullock and Zelma Priscilla, his father and mother. As she was born to American parents, her nationality is American. Her astrological sign is Sagittarius. At a small age, he began his career with singing. She attended the Flagg Grove Elementary School and Carver High School. She graduated from Summer High School in Missouri. She has got a great personality. Talking about her body, her height is 1.63 cm (5 ft 4 in). Her weight is of 58 Kg. Her eye color and hair color is Dark Brown. She has a balanced body with good health. She has an attractive body figure. Her smiling face and charming personality have helped her to gain the attention of all the viewers. Her body measurement is 36-29-38. Tina used to visit nightclubs in St. Louis and at Club Manhattan. There, she met Ike Turner. Ike recognized her talent and gave her chance to record with him as a background singer in the year of 1958. In the year of 1959, she recorded a dummy vocal for Ike’s song. It was later sent to Juggy Murray, president of Sue Records. Ike was paid a huge sum of money for the recording and publishing rights of the song. Then, Tina and Ike started singing together. In the year of 1960 their single ‘A Fool in Love’ reached at number 2 on the Hot R&B Sides and after that ‘It’s Gonna Work Out Fine’ earned them their first Grammy Award nomination. They became popular and went on to sign with Loma Records in the year of 1965, a subsidiary of Warner Bros. Records. They gave live performances all over the United States and performed in shows like, ‘Hollywood A Go-Go’, etc. In the year of 1965, she recorded the song ‘River Deep - Mountain High’ produced under Phillies record label which became very hit and she was given an opportunity for the Rolling Stones. Later, she signed with the Liberty Records in the year of 1970 and came out with two albums, ‘Come Together’ and ‘Workin’ Together’ with Ike. In the year of 1974, Turner released her first solo album ‘Tina Turns the Country On!’ with the help of Bolic Sound Studios. The album fetched her Grammy nomination for Best Female R&B Vocal Performance. Together they make more music together and they made a venture into gospel music and released ‘The Gospel According to Ike & Tine’ which became very hit. From 1975 to 1978, Turner went through a tough period because her marriage with Ike was crumbling down as he was a raging alcoholic and cocaine addict. It affected their professional association and which made Turner stopped performing with him. Turner tried renewing her career with her cabaret-style performances in Vegas with the help of United Artists Records in 1978. Later, she also started appearing on the shows like, ‘The Hollywood Squares’, ‘Donny and Marie’, etc. In the year of 1978, her third album ‘Rough’ was released under the same record label. It was followed by ‘Love Explosion’; unfortunately both the albums failed to impress her fans and she decided not to renew her contract with the company. In the year of 1983, she signed a three album deal with the record. In the year of 1984, she released ‘Private Dancer’, which is considered to be her comeback album, selling about 20 million copies worldwide. The hit single from the album ‘What’s Love Got to Do With It’ earned her a Grammy Award which was her great victory. Then, Turner appeared in the movie ‘Mad Max Beyond Thunderdome’ in the year 1985. The movie was a huge success and her acting skills were honored with the NAACP Image Award for Outstanding Actress. In the year of 1986, she released another hit album ‘Break Every Rule’, which ended up selling four million copies worldwide. She made history by performing with Paul McCartney in front of the largest paying audience in Maracana Stadium in Rio de Janeiro in the year 1988. Also, she earned a Guinness World Record for it. In the year of 1991, Turned signed the rights for the production of the movie ‘What’s Love Got to Do with It’, based on her and Ike’s relationship. She also worked for the James Bond movie, ‘GoldenEye’ in 1995. During 1999-2000, she appeared on the VH-1 special ‘Divas Live '99’ and released ‘Twenty Four Seven’. In the year of 2002, Turner was honored by the Kennedy Center Honors. She was also appreciated by President George W. Bush. In the year of 2008, she performed with Beyonce at the Grammy Awards and won a Grammy as a featured artist on River: "The Joni Letters". Turner attended the Giorgio Armani show in Beijing in 2012. In the following year, she appeared on the cover of the German issue of Vogue magazine. In 2018, it was announced that she would be one of the awardees to receive the Grammy Lifetime Achievement Award. Turner is a married woman with Raymond Craig in the year of 1958 when she was just 18. Later, she was thrown out of the house because of some problems. Then, she went to live with Ike Turner and they got married in the year of 1968 with him. They are blessed with a son named Ronald. Later, the couple got divorced after spending some blissful moments together. The net worth of Turner is estimated to have $250 million in 2018 with all of her properties and incomes. This excellent singer makes good money from her work. Her salary is kept in privacy but there is no doubt in the mind of her supporters and followers she is satisfied with her earning.